Tuscola is located off I-57 between Champaign & Mattoon/Charleston, and at the intersection of State Rt 36 & State Rt 45. Home to Tanger Factory Outlet Center, (Tanger Factory Outlet Centers, Inc. (NYSE:SKT), is a publicly-traded REIT headquartered in Greensboro, North Carolina that presently operates and owns, or has an ownership interest in, a portfolio of 43 upscale outlet shopping centers in 26 states coast to coast and in Canada, totaling approximately 12.9 million square feet leased to over 2,700 stores operated by more than 470 different brand name companies. 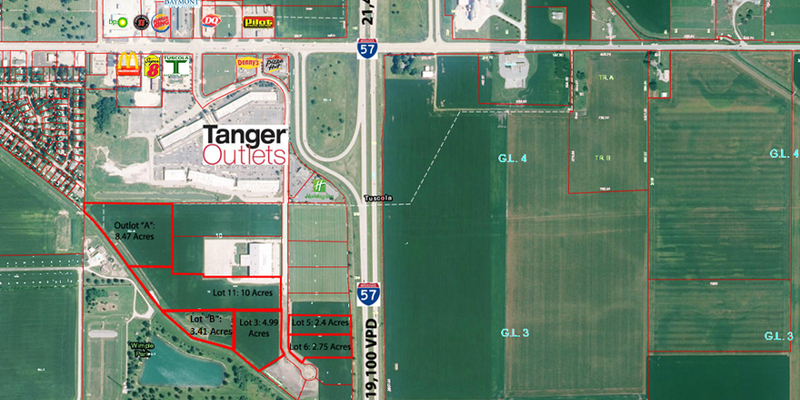 More than 180 million shoppers visit the Tanger Outlets annually.) 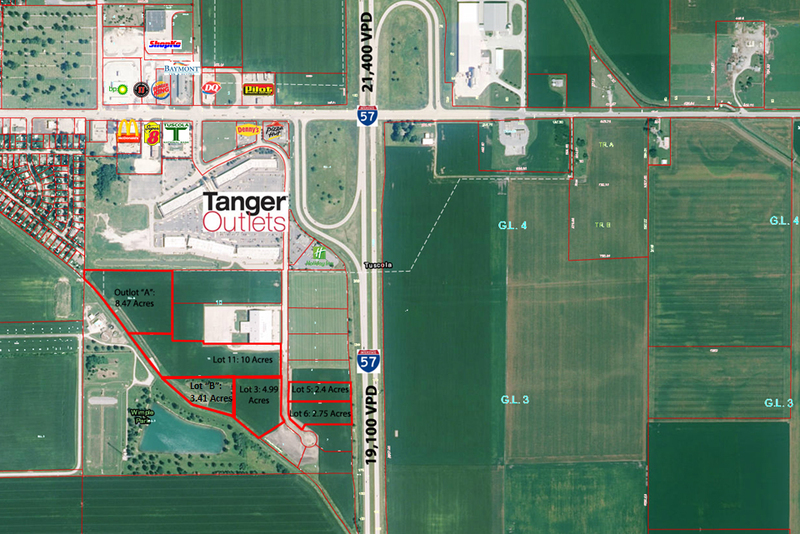 The Tuscola Tanger (250,000 SF Retail Center) has over 55 retails including such retailers as: Nike, American Eagle, Coach Factory, G.H. Bas & Co, Gap, J. Crew, Polo, Tommy Hilfiger, Under Armor, Can Heusen and Old Navy to name a few. The economic impact on Tuscola is tremendous. Tuscola is located 161 miles S of Chicago, 153 miles NE of St. Louis, 115 miles W of Indianapolis, 30 miles S of Champaign & 26 miles N of Mattoon.